Handcrafted sterling silver .925 earring with a 10 x 8 mm semi precious stone. Post and ear nut are also sterling. 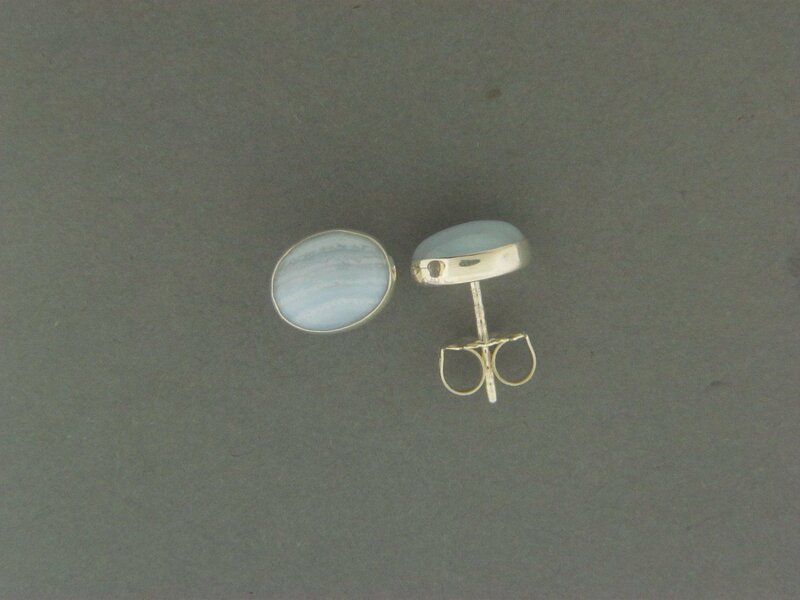 Shown with a blue lace agate.